For sale: Ioline CrystalPress automatic rhinestone setting machine $4000, Free shipping. This machine has been well-maintained and is in perfect working condition with a new air filter installed and extra C-tips. Four additional sorting bowls allow for using studs and any size rhinestone you prefer (6 sorting bowls total). Comes with CrystalStudio software, which accepts plugins from CorelDraw, Adobe Illustrator and other rhinestone design programs. 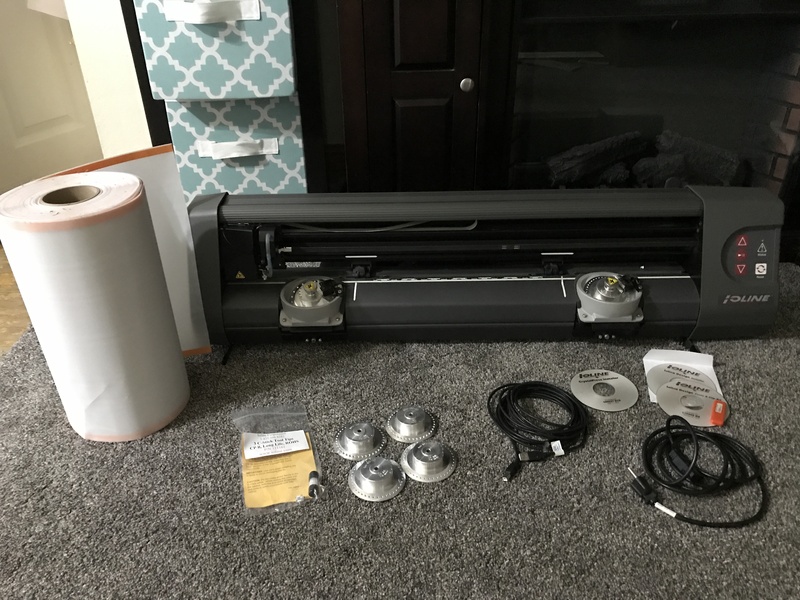 I will include a full roll of transfer paper that goes with this machine ($159 retail). I am selling as I upgraded my equipment last year to a CAMS machine and no longer need or have room for this one. This machine is super easy to learn and customer service is fantastic and transfers with ownership of the machine. Absolutely nothing wrong with this machine whatsoever; my business just grew out of it and into something bigger and faster. The security dongle for the CrystalStudio software is bent, but has been that way since my laptop slipped off the table right after I got this machine - the dongle has always worked fine. No connection issues, etc. I purchased this machine new in 2014 and have used up to present. I also have the upgraded Ioline Design Pro Software and would consider selling this for an additional $250. I occasionally still use this, so will not include it with the bundle. This is an excellent purchase for someone looking to get into the rhinestone business. If I were starting up, I would definitely buy it again.